One of the challenges with observing black holes is that they don’t emit light. Except for the theoretical Hawking radiation, black holes don’t radiate any light because they are simply and extreme warping of space and time. That doesn’t mean we can’t see black holes. Usually there is a great deal of material in the region around a black hole, so we can observe the light coming from this material. For example, we can observe x-rays, radio waves and visible light emitted by the heated plasma in the accretion disk. We can also see jets of material streaming away from the black hole. This tells us a great deal about black holes, but it doesn’t tell us about the specific structure of warped space and time. For that we still need to rely a lot on relativity theory. 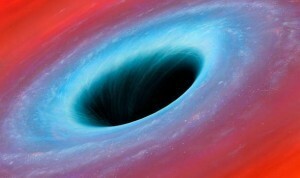 Now a new paper in the Monthly Notices of the Royal Astronomical Society has observed this warped structure through its effect on light near a black hole. 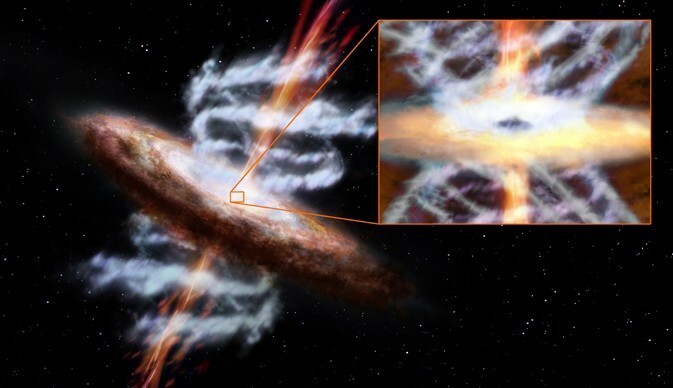 The team used the NuSTAR x-ray telescope to observe an x-ray black hole known as Markarian 335. With NuSTAR they were able to observe x-rays from a diffuse, super-heated plasma surrounding the black hole, known as the corona. Since the corona emits x-rays in all directions, some of that light reaches us directly, while some of the light is scattered off the accretion disk of material swirling around the black hole. It turns out that during a dip in brightness of the x-ray black hole, which it became somewhat less active, the corona shifted closer to the black hole itself. This meant the gravitational influence on the light emitted by the corona was stronger. As the team observed, the black holes’s warping of space and time blurred the light coming from the corona. The team was then able to compare the gravitationally blurred spectrum with the unblurred one. What makes this useful is that by observing the way light near the black hole distorts light, we can compare the result to theoretical models, which can give us a deeper understanding of general relativity. Observing such a subtle effect near a black hole is difficult, and this is the best set of data we have so far.